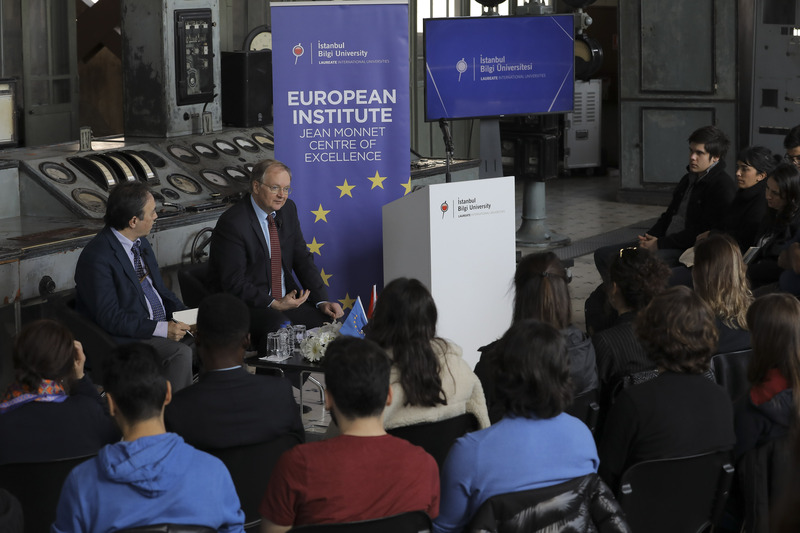 Head of the EU Delegation to Turkey, Ambassador Christian Berger visited İstanbul Bilgi University! 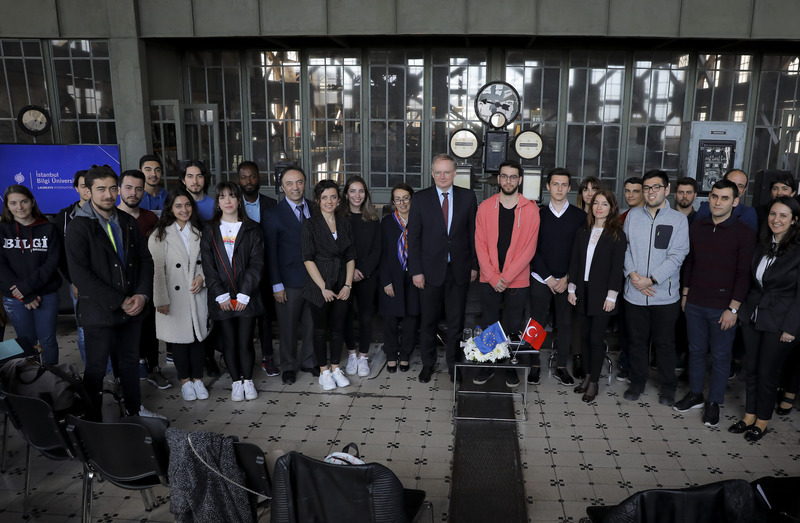 Head of the EU Delegation to Turkey, Ambassador Christian Berger, visited Istanbul Bilgi University on March 22, 2019. Ambassador Berger visited the Rector of Istanbul Bilgi University Mrs. Kubra Dogan Yenisey at the Rector's office and after the visit he had lunch with the academicians. 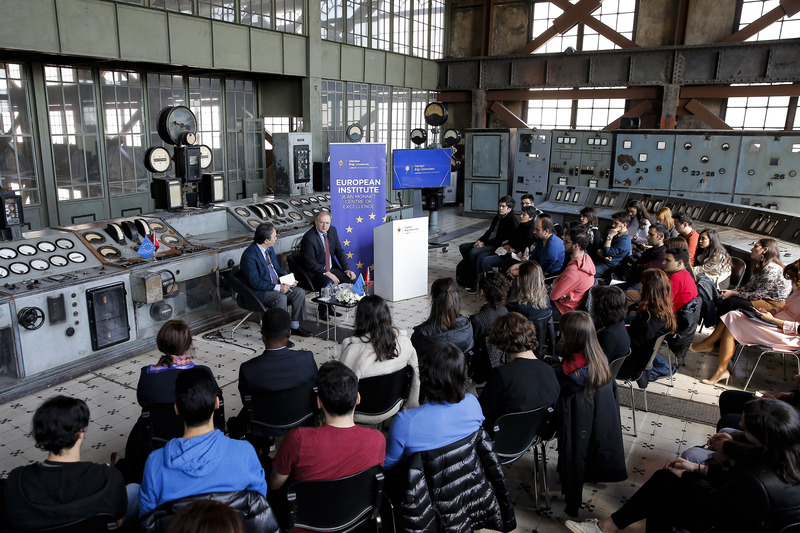 Mr. Berger and the Director of the European Institute Prof. Ayhan Kaya met with students and academicians to make a presentation on EU-TR relations and answered the questions of the students.